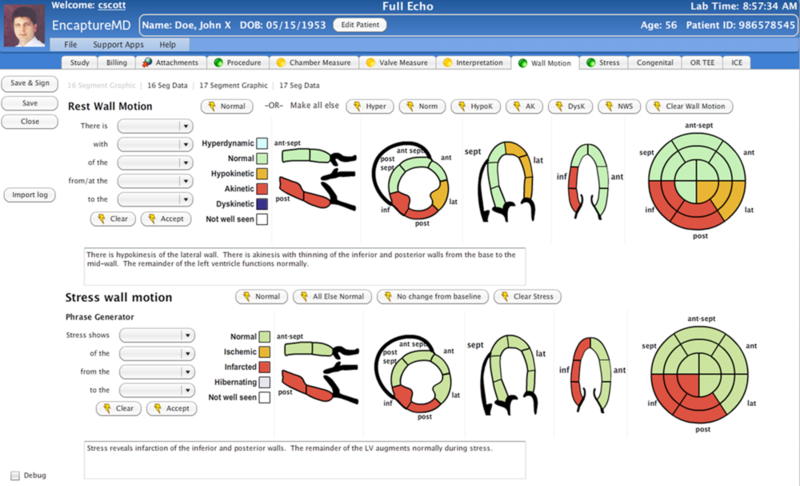 The EncaptureMD Echocardiography modality reporting streamlines echo lab workflow. 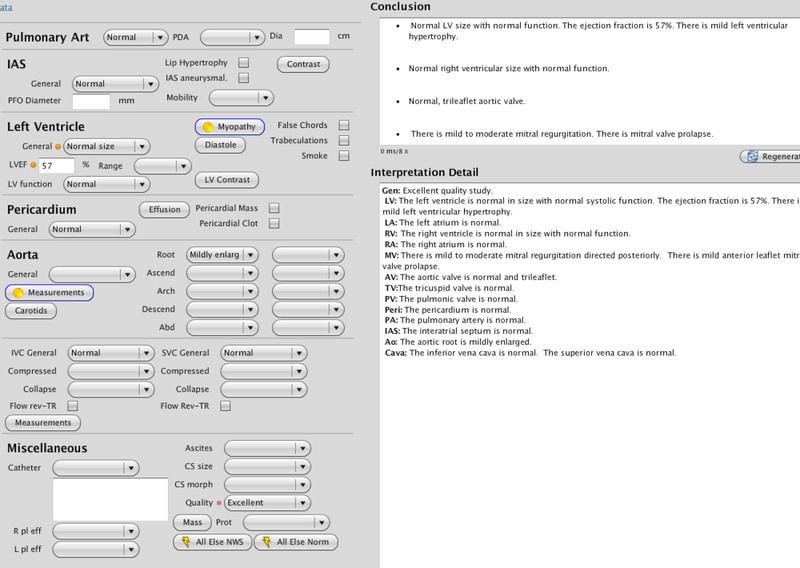 Whether sonographers or fellows perform preliminary reads or physicians read everything themselves, our software adapts. We have tight integrations to various CPACS and radiology PACS systems as well as ShowCase for the practice. Clinicians find it quick and easy to use. 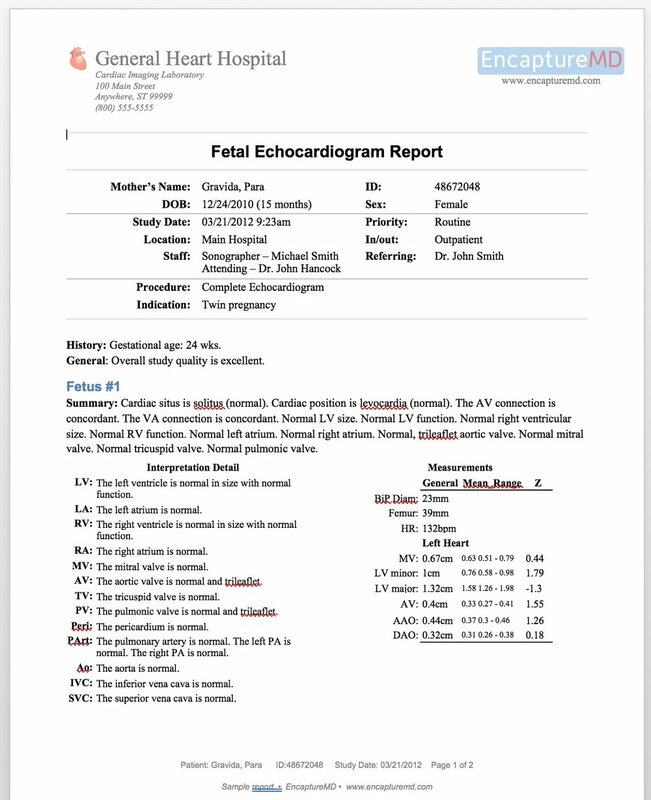 Fellows and sonographers can do preliminary reports. Measurements flow effortlessly to the report. Administrators can see lab activity at a glance and run multiple statistical reports to assess productivity. 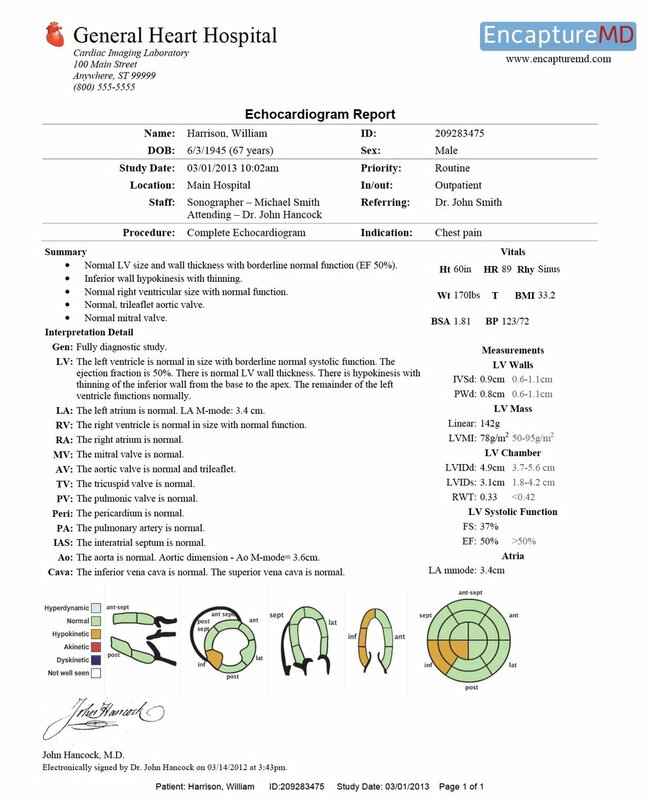 All EncaptureMD reports are IAC compliant and accreditation-ready. Validation for completeness and conflicts on every interpretation.